Pregnancies aren’t always perfect. Prenatal testing can reveal life-threatening issues with the baby’s health, which can leave a parent contemplating the unthinkable- ending the pregnancy. Christie Brooks, a CHERUBS member, made the heartbreaking decision to interrupt her pregnancy in 2003 when her baby was diagnosed in utero with a left-sided diaphragmatic hernia. Through online support networks she was able to connect with other mothers who made the same agonizing decision, but for a variety of different anomalies. Together they put their stories in a book and self-published it last October. The book, “Our Heartbreaking Choices,” contains the personal stories of 46 women who interrupted their much-wanted pregnancies for medical reasons. The purpose of the book was to share their stories in the hopes of helping other parents who have undergone a similar loss to feel less alone, less isolated, and less stigmatized. The following cherubs recently received their wings since our last newsletter. Please keep their families in your thoughts and prayers! **this is only a list of those cherubs whose parents gave us permission to publish their names. It also includes cherubs whose parents just joined our organization in the last 4 months. Please help us to raise Congenital Diaphragmatic Hernia Awareness and Research so that someday soon no more babies will be lost to CDH. National Children’s Memorial Day is December 14th. At 7:00 pm in each time zone, people will be lighting candles to remember all children lost. Over 800 babies are lost to CDH in the United States alone. 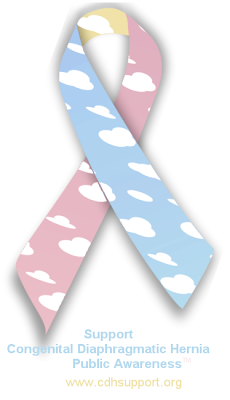 We remember all the families who mourn their children from Congenital Diaphragmatic and those who mourn their children lost from other circumstances.